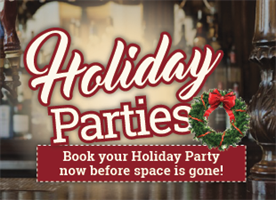 Time to start thinking about Holiday Parties! The Pavilion is the perfect place to host your get-together. With a large bar area, seating for up to 300 people and plenty of room for a dance floor, we’ve got you covered! Have Questions? Contact us about your upcoming event.